Sometimes I almost think they're just screwing with us. 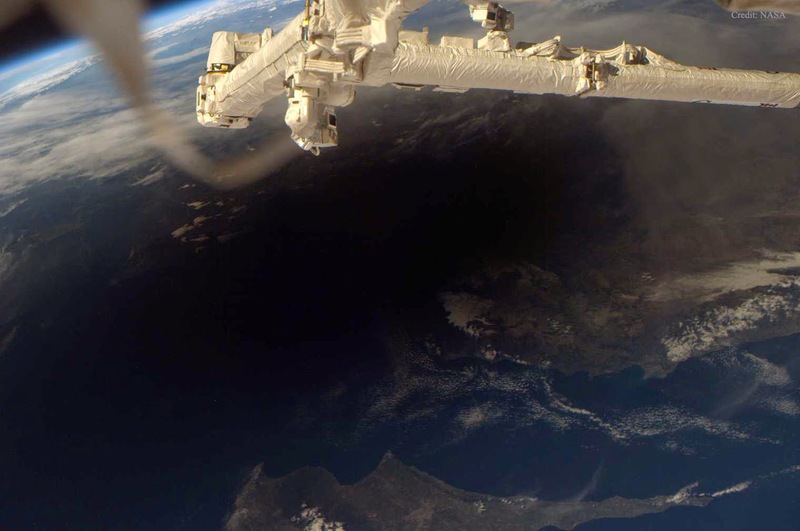 The Hubble team, I mean. They release exquisite, heartbreakingly beautiful images like this one, and expect us to believe that these are real things, that 300 light years away one galaxy slipped through another and the resulting tidal forces and distortions just happened to form what human brains see as a perfect space flower. 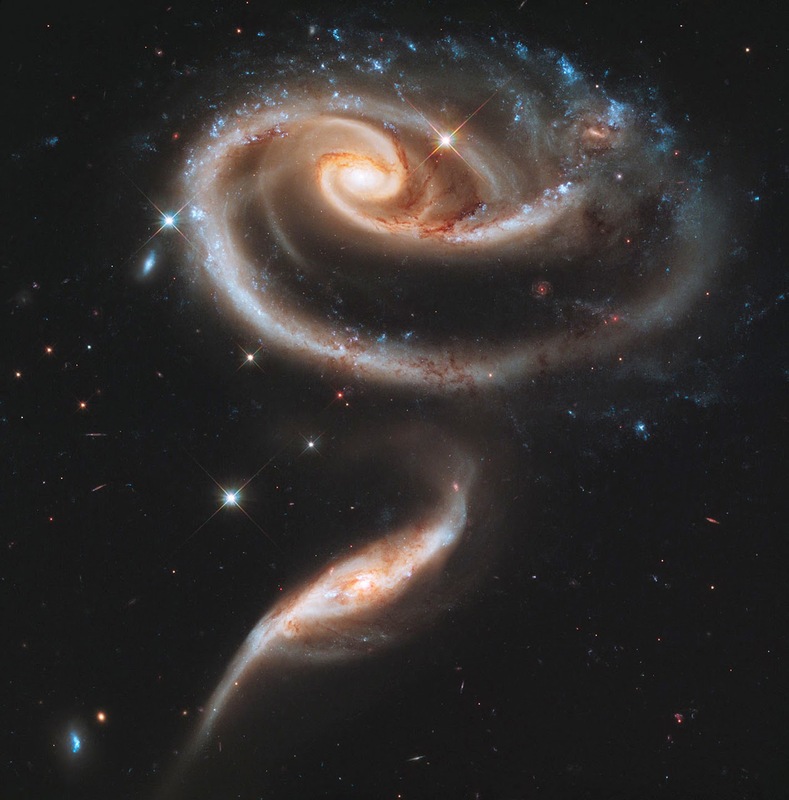 This pair of galaxies is called Arp 273. Or so they claim. 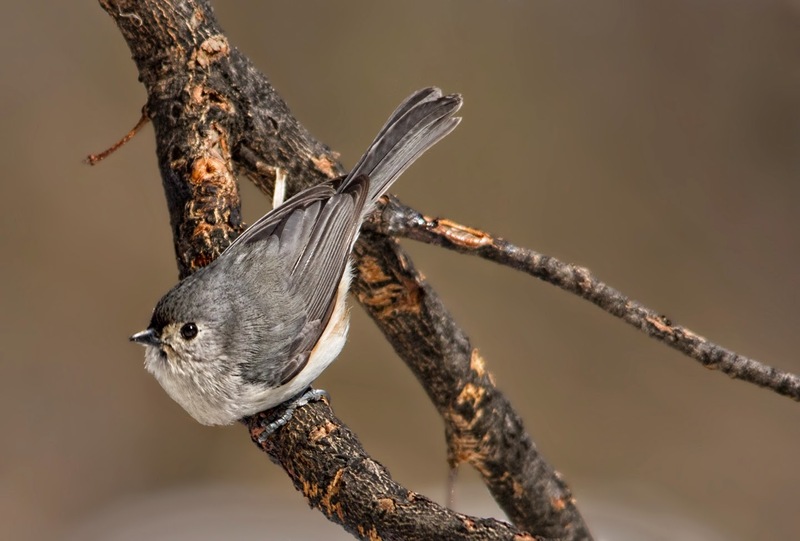 A tufted titmouse, looking adorable as only titmice can. 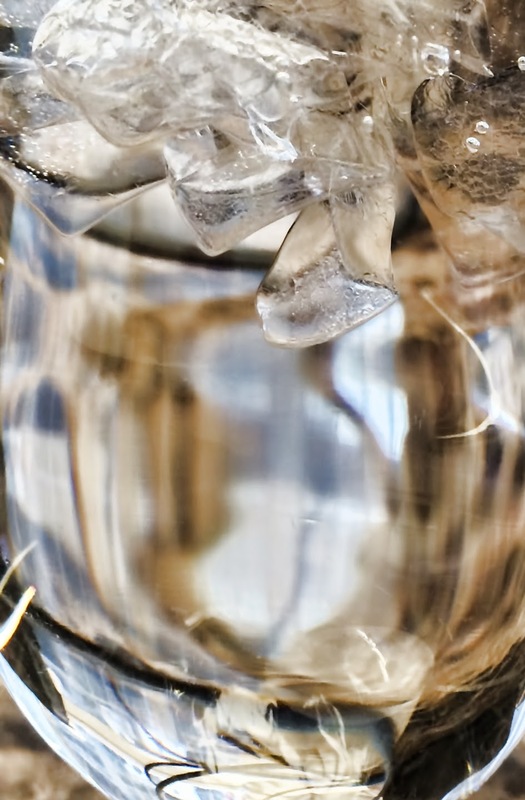 It's a little Photography 101 (not that that's ever stopped me before), but I like it anyway: a glass of ice water on a marble conference room table. One great advantage of using a phone to take pictures in a deadly dull meeting -- no one notices. The very impressive pipes of the organ at the Church of the Epiphany on Second Avenue. 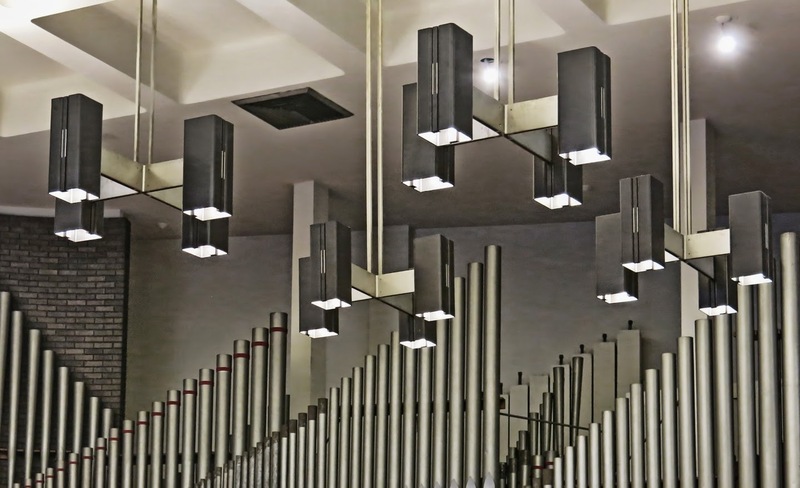 I went to a lovely concert, celebrating St. Patrick's Day with Irish music, a few weeks ago, and loved the striking modern interior as much as the music. 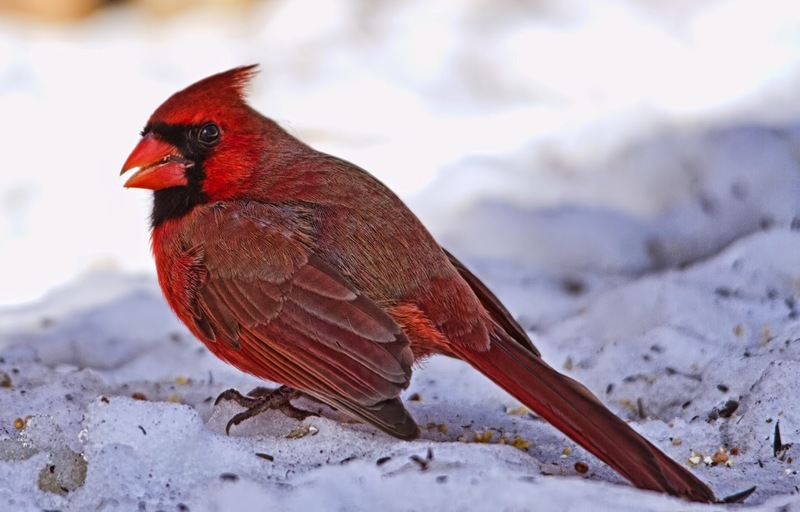 Here's another shot of the cardinal who refused to cooperate and move into the light. One of his relatives has been hanging out in my back yard, singing enthusiastically about what a good mate he'll be. Eventually he'll realize that he'll have more luck attracting the ladies if he moves up to the park, but I'm enjoying the whistle-whistle, chirp-chirp-chirp for as long as he sticks around. 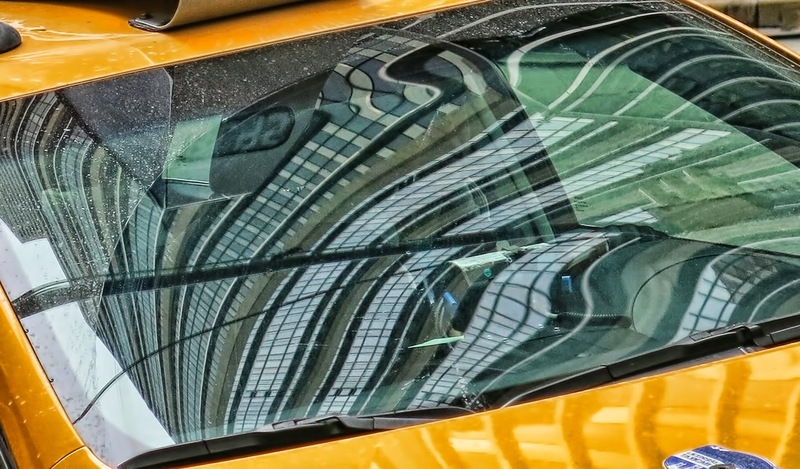 A taxi turns Midtown into a crazy abstract. It's much warmer today, and you can hear the soft plop-plop-plop of clumps of snow falling from the trees, but this is what the first day of spring looked like in New York. Spring began earlier this evening (which might feel more exciting if it had not, in fact, snowed all day.) At least we'll have fewer sad exhibits like the weeping Beemer above, as longer days warm the air and the ground and snow will be less likely. But sadly not impossible. 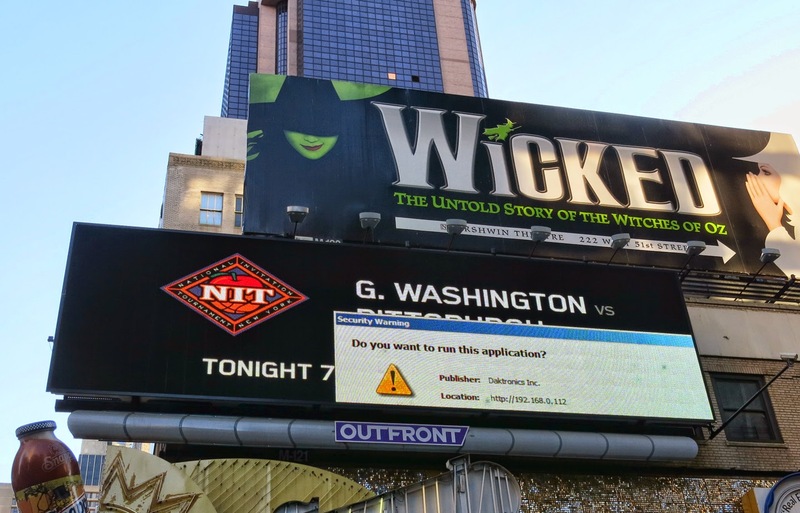 A tale of two billboards near Times Square: an old-fashioned paint and paper “analog” version, showing the same old ad for Wicked that's been around for years, and a newer, cooler, digital board, capable of showing video and high-definition images, a new ad every few seconds. If not for that giant application error. 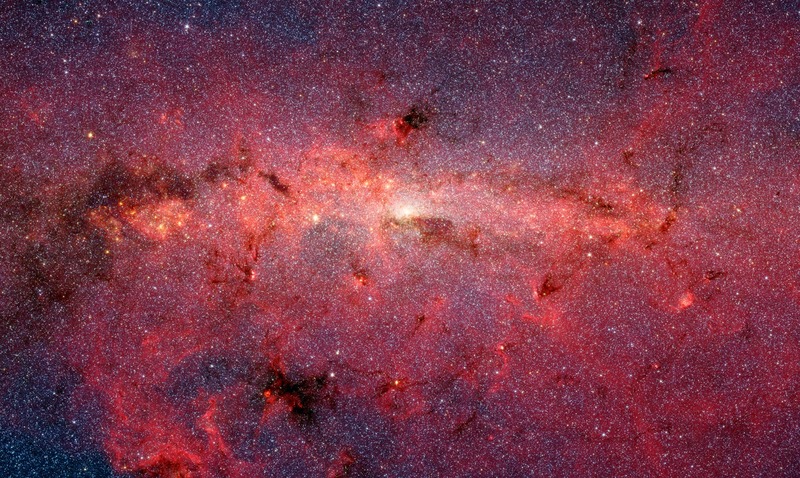 This is just our infinitesimally small corner of it, the center of the Milky Way galaxy. This false color photograph, taken in infrared by the Spitzer Space Telescope, shows the stars that are usually obscured by space dust. 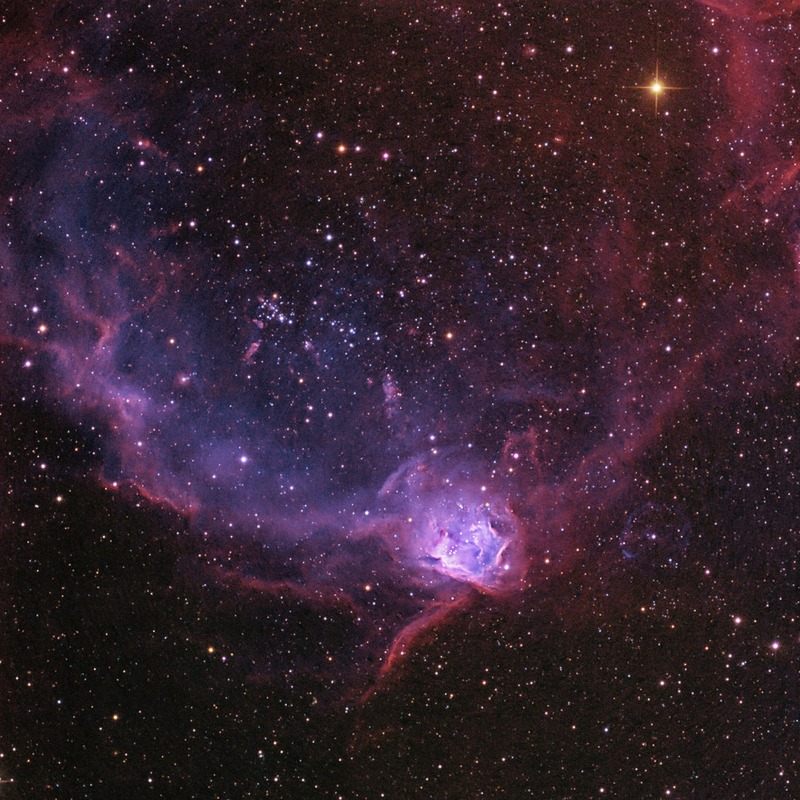 The blue lights indicate older, cooler stars, but the glowing red portions are stellar nurseries where young stars are going through their hot-headed adolescence. So many stars. Really, the only appropriate response is Wow. 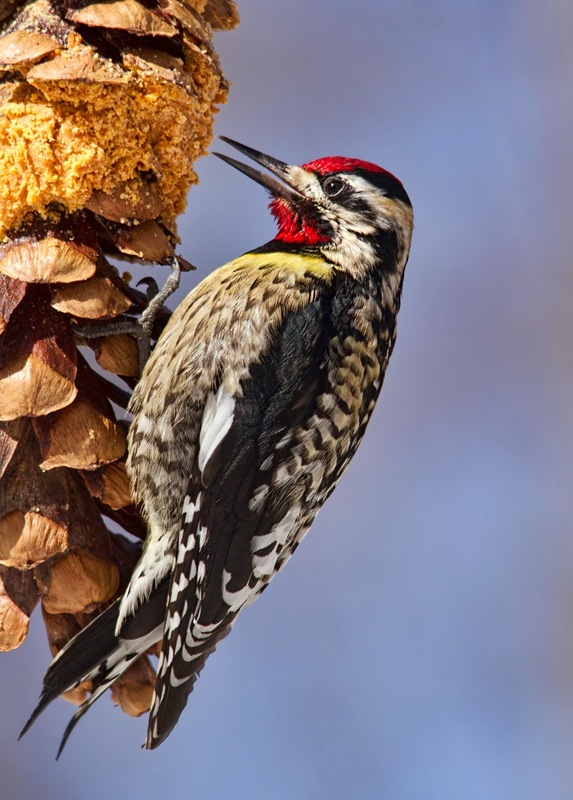 Here's a beautiful yellow-bellied sapsucker at the feeders a few weeks ago. For once, the yellow is clearly visible, although not exactly in the vicinity of his belly. I think that whoever named this bird just liked the way “yellow-bellied” sounded and went with that. I woke up thinking that we had a rather gray and damp first weekend of spring, but at least it wasn't snowing. Then I looked at the date and realized it's not spring yet -- next weekend. But it's in the 40's and 50's every day now, and a good rain earlier in the week washed away all the snow, so it does feel like spring has finally, finally arrived, even if it's not technically the case. 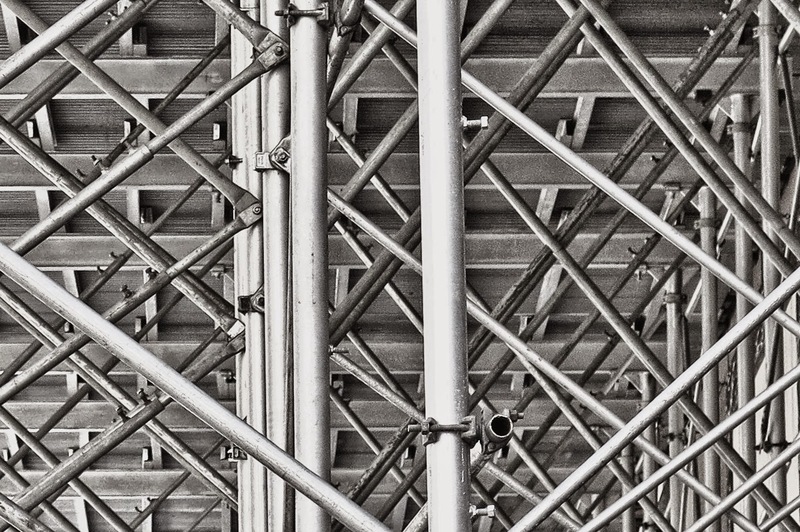 Some really formidable scaffolding on Fifth Avenue. Wifi issues at home so photo posting is temporarily on hold. Because we can always use more nebulae -- the Flying Lizard nebula. 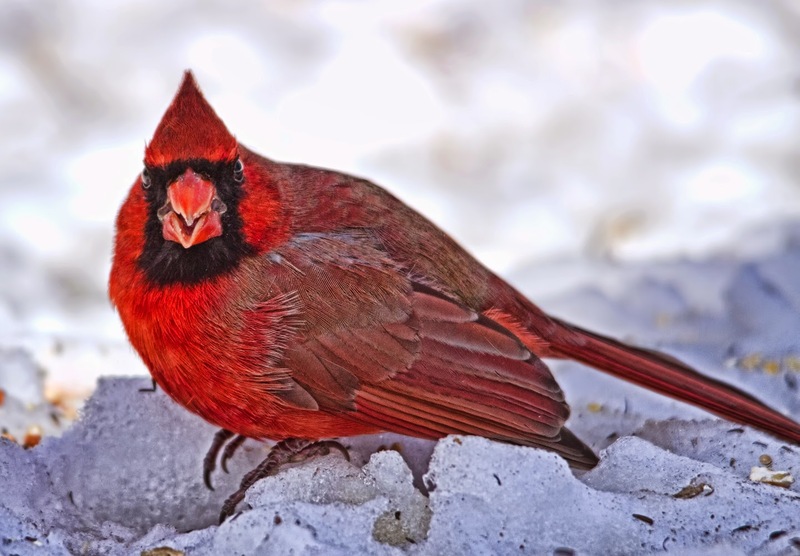 If this cardinal had just scooted over a couple of inches to his right, he would have been in the patch of sun and this would be a better picture. But of course he wouldn't. 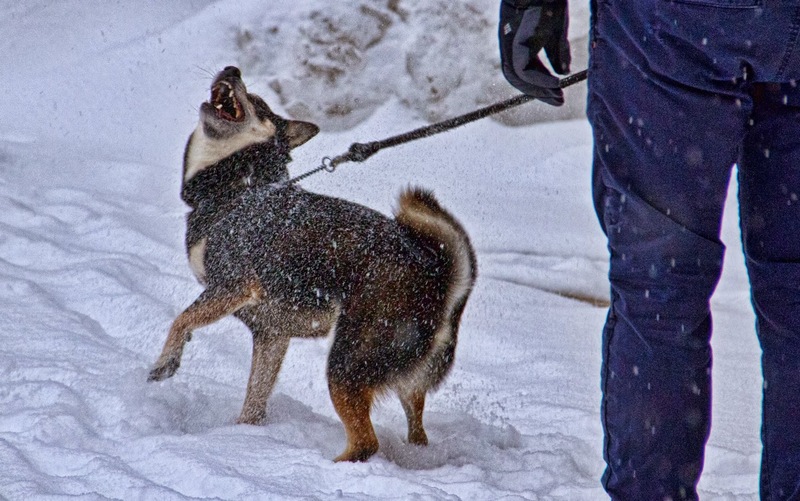 And yes, I do think he's laughing at me. 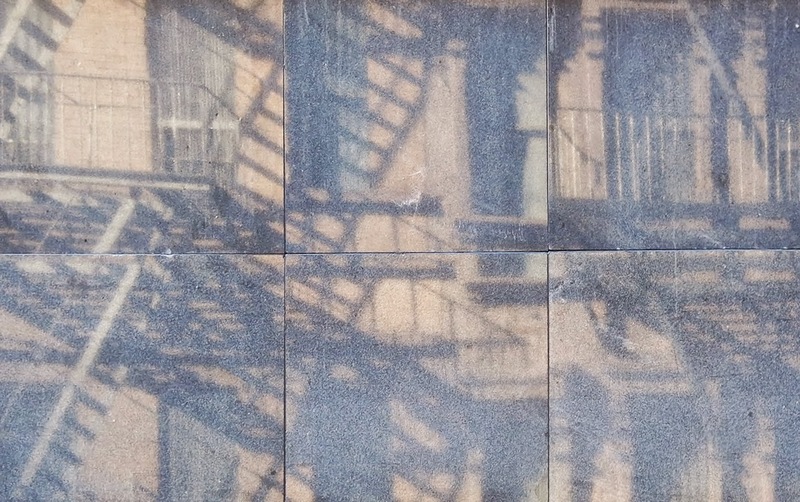 A stone wall reflects the crazy shadows a sunny morning makes of the fire escapes across the street. 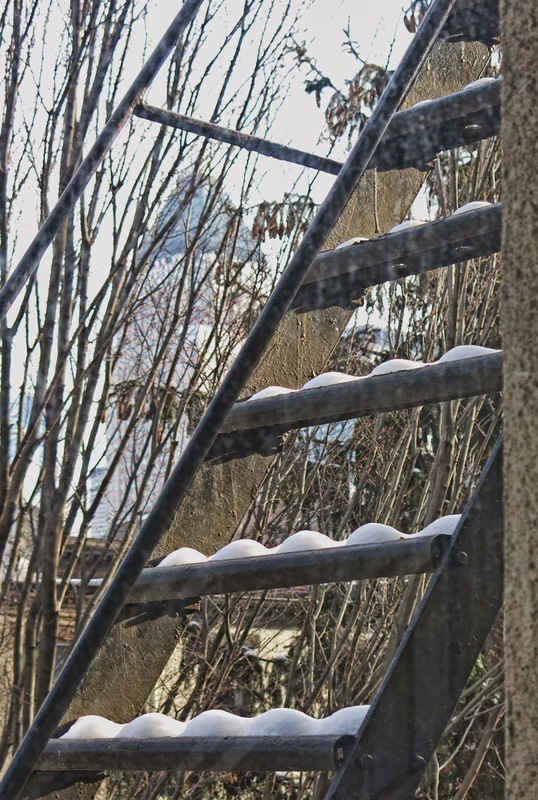 I've always loved the scallop shape the snow on the fire escape makes as it melts -- it's like the ornate trim on a gingerbread house. No scallops today, alas, just big fat bricks of still more snow, after yet another day of steady, if not enthusiastic, accumulation. 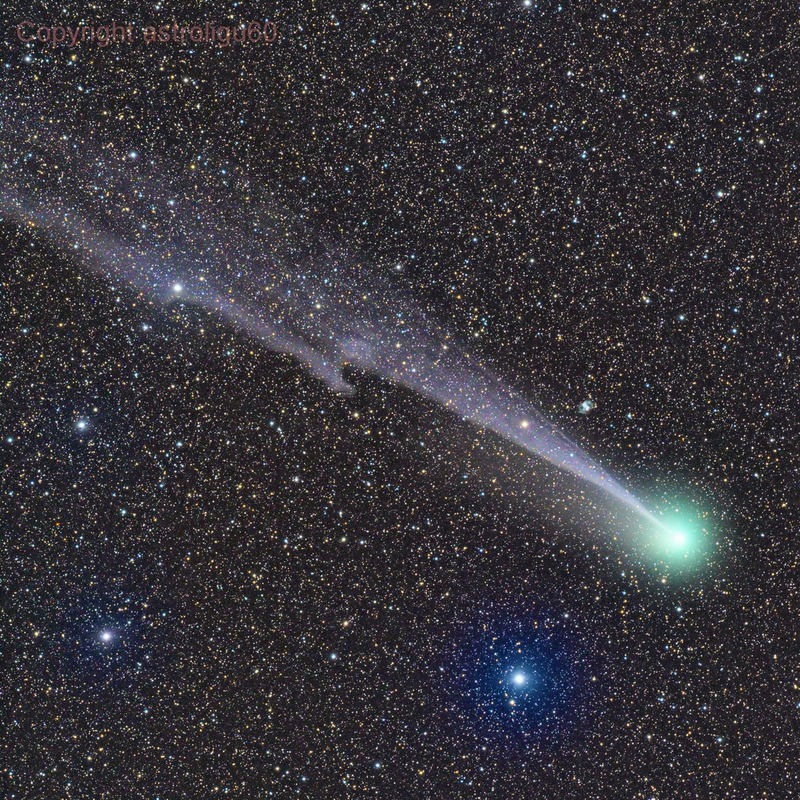 Here's another look at Comet Lovejoy, still in the neighborhood and displaying an impressive, if crooked, tail. Believe me, we all know exactly how you feel. 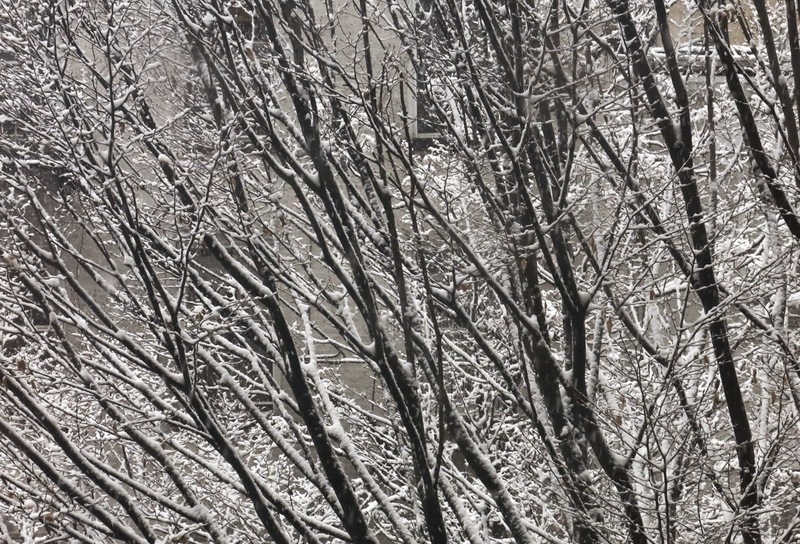 After the tease of sunlight yesterday, yet another snowy weekend after all. 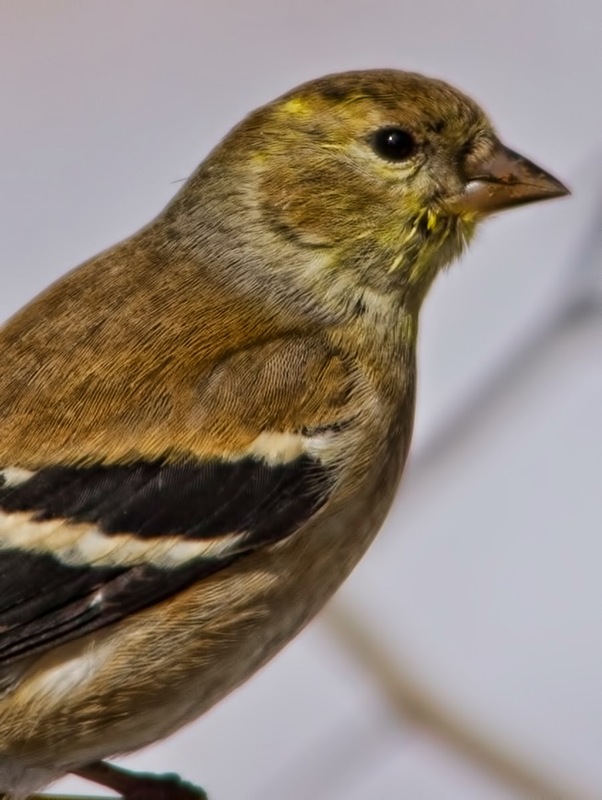 The groundhogs disagreed on the forecast, but if we go by the goldfinches -- who, as of yesterday, were not all that gold -- winter isn't quite over yet. But look at those bright patches around the eyes. Spring is coming. 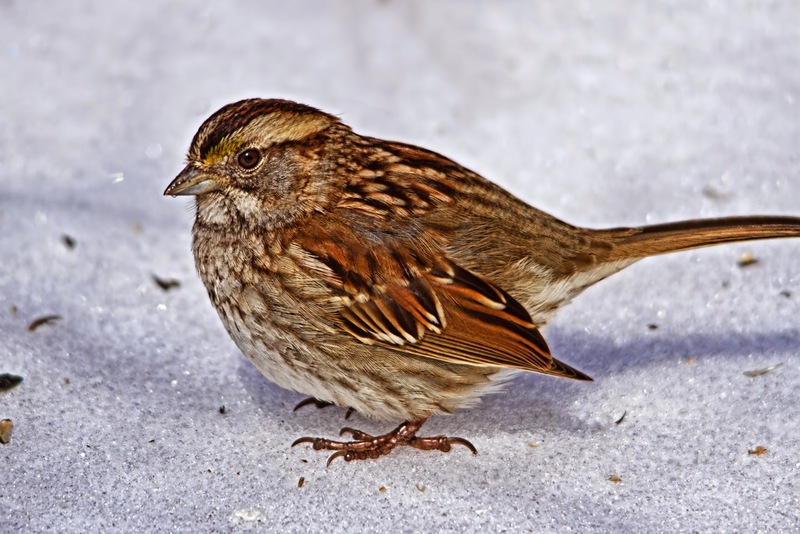 This house sparrow doesn't appear to have been overly deprived of sustenance this winter -- they mostly ignore the feeders, preferring to forage on the ground -- but since spring means courtship and mating, they will enjoy a change of season as well. We made it! 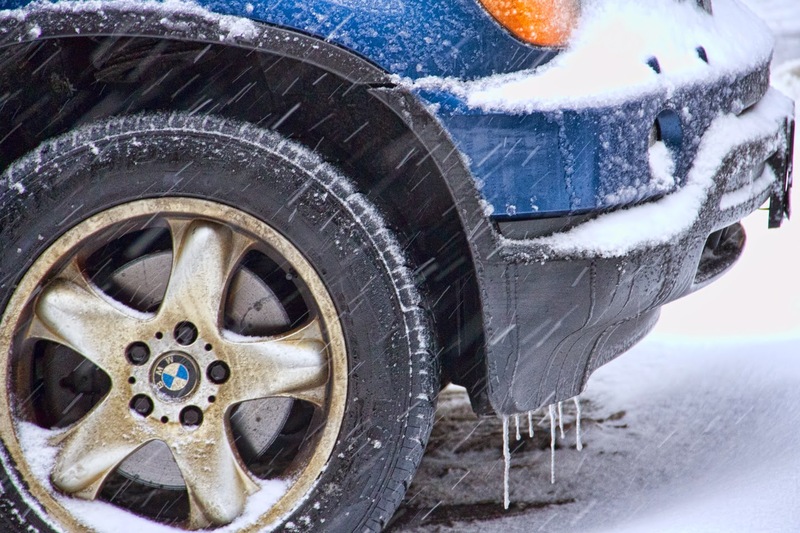 This was the coldest February in New York in 81 years, and set a new record for the coldest temperature -- 15 degrees below zero -- ever recorded here. 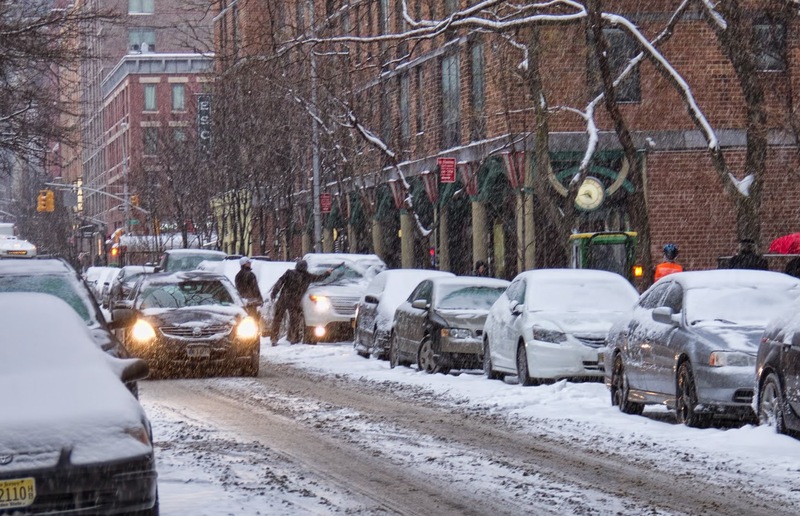 Though even bitterly cold weather isn't much more than an inconvenience in the big bad city, I think I can speak for my fellow 8 million New Yorkers when I say, We are so over winter. 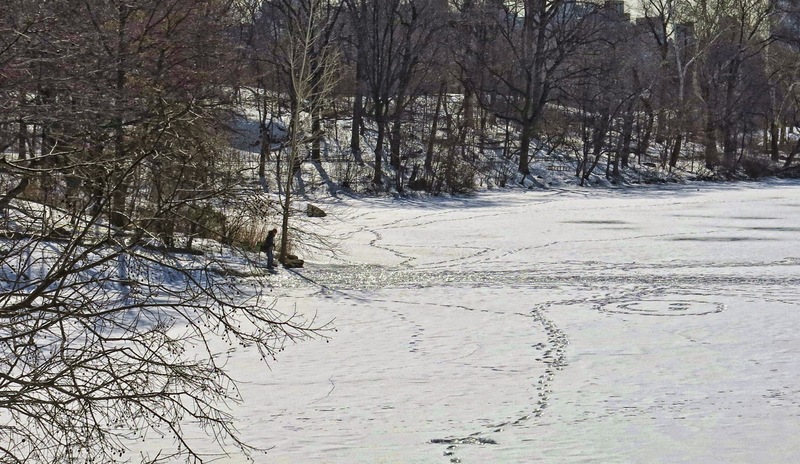 Here's the lake in the park yesterday -- not just frozen, but frozen solid enough for someone to venture out and stamp a no doubt ironic happy face in the snow.